The Knit and Natter group meets weekly over tea and biscuits to knit scarves, hats, mittens, purses, blankets and more, usually for charity. The Knit and Natter group meets every Monday afternoon at the organiser’s home. There are about a dozen members with 6 to 8 knitting on a typical day. Although members are encouraged to knit something of their own, members usually knit for two main charities: Operation Christmas Child and Leicester Animal Rescue. The group knits scarves, hats, mittens and purses to put into shoeboxes, which are sent to children in need around the world as part of Operation Christmas Child. 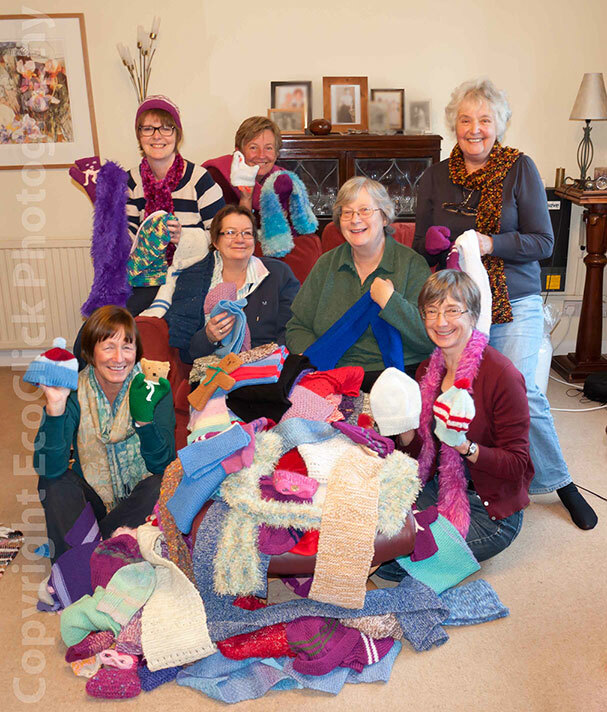 Members also knit squares to become blankets for cats at Leicester Animal Rescue. Jill supplies a knitting pattern once a month for people to try. To view the pattens, click here.